We are always ready to address your questions and concerns regarding this policy and our privacy practices. If you would like to contact customer service, please contact us via admin@cruisebe.com. a. Personal Data. Personal Data is information that identifies a specific person. When you engage in certain activities via the CruiseBe Service, including but not limited to creating an account, sending feedback, purchasing a cruise or entering a private profile, or otherwise participating in the CruiseBe Service (collectively, “Identification Activities”), we may ask you to provide certain information about yourself. If you elect to engage in an Identification Activity, however, we may ask you to provide us with certain personal information about yourself, such as your name, address (including zip code), date of birth, gender, picture, hometown, email address and/or telephone number. When you enroll in the CruiseBe Service, we may also ask you to provide us with additional information, such as credit card information. Depending on the Identification Activity, some of the information we ask you to provide may be identified as mandatory and some identified as voluntary. If you do not provide mandatory information for a particular Identification Activity, you will not be permitted to engage in that Identification Activity with the CruiseBe Service. Depending on the Identification Activity, CruiseBe may not re-ask you for Personal Data if such are already stored with us. As you navigate the CruiseBe Service, we may also collect information through the use of commonly-used information-gathering tools, such as cookies and Web beacons (“Web Site Navigational Information”). Web Site Navigational Information includes standard information from your Web browser (such as browser type and browser language), your Internet Protocol (“IP”) address, and the actions you take on the CruiseBe Service (such as the Web pages viewed and the links clicked). For some portions of the CruiseBe Service (for example, reserve or purchase cruise deal, tour, transfer, etc.) credit or debit card account information may be required. By submitting your card information through our sites, you agree to the sharing of this information with third-party payment processors. We provide card information to our third-party payment service providers in order to process your order. We do not store any card information ourselves. However, these third-party payment services may store your card information in accordance with their privacy policies. You should acquaint yourself with their policies. We also can obtain information from third-party services, for example, from social networks. You give us permission to access such information when you link your social network accounts with CruiseBe. Sharing of such information may depend on your settings in social networks or their policies. If you use such third-party services you understand that we may obtain information from your accounts, for example, name, email, work and education history, the city of residence, messages and pictures posted, events, places you visited, social contacts, etc. When you use third-party services to register on our sites, you will be asked for specific authorization for access to such information. We will not collect such information without your permission. We may also obtain information from other sources, such as third-party applications, services, sites that you use to connect to our sites. We may combine that information with information we collect on our sites. In addition, you can give us permission to use your social media contacts or information about your travel preferences, booking experience, etc. We use Non-Personal Data to troubleshoot, administer the CruiseBe Service, analyze trends, gather demographic information, comply with applicable law, and cooperate with law enforcement activities. We may also share this information with our authorized Third Party Service Providers to measure the overall effectiveness of our products and services. We may use collected information to provide you with services, reserve and purchase your bookings on our sites. We may use information for ensuring the safety of the CruiseBe Service, services, features, content, environment, third parties. We may use information for protecting the copyright, any kind of property rights of CruiseBe, our users, and third parties. In addition, we may ask you to provide us with information about you or your spouse, for example, about your status as a senior, military veteran, etc. We need this information to provide you with certain discounts and deals. a. Authorized Third Party Service Providers. CruiseBe may provide products and services through third parties. These “Third Party Service Providers” perform functions on our or your behalf. You or We may share your Personal Data with such Third Party Service Providers to fulfill orders, analyze data, operate the CruiseBe Service including receiving payments, troubleshoot and provide customer service. We may also provide personal information to individuals and companies with whom we have business relationships and may share your information with Third Party Service Providers to accomplish our administrative tasks. However, the use of your Personal Data by such parties is governed by the privacy policies of such parties and is not subject to our control. 4. Release of Non-Personal Data. We may disclose or share Non-Personal Data with Third Party Service Providers and the general public. For example, we may share aggregated demographic information (which does not include any Personal Data) or use Third Party Service Providers to track and analyze Non-Personally Identifiable usage and volume statistical information from our users to administer the CruiseBe Service. We may also publish this aggregated information for promotional purposes. Such data is collected on our behalf, and is owned and used by us. We may use Third Party Service Providers to serve ads when you participate in the CruiseBe Service. These companies may use Non-Personal Data Information about your visits and use of the CruiseBe Service, and visits to other websites or locations in order to provide, through the use of network tags, advertisements about goods and services that may be of interest to you. For users located in the European Data Region in the European Economic Area (EEA), all processing of Personal Data is performed in accordance with privacy rights and regulations following the Directive, and the implementations of the Directive in local legislation. From May 25th, 2018, the processing will take place in accordance with the GDPR. All data collected by CruiseBe through the CruiseBe Service will be stored exclusively in secure hosting facilities provided by IBM/Softlayer or Amazon Web Services. CruiseBe has a data processing agreement in place with such providers, as applicable, ensuring compliance with the Directive and the GDPR. All hosting is performed in accordance with the highest security regulations. All transfers of data from the EEA is done in accordance with such data processing agreements. 6. Updating Information. If you are enrolled in the CruiseBe Service, you may change any of your Personal Data by logging into your account and accessing the “my account”. We encourage you to promptly update your Personal Data if it changes, as out-of-date Personal Data may negatively affect the quality of your CruiseBe Service experience. 7. Choices on Collection/Use of Information. You can always choose not to provide certain information, although a certain level of information is required to engage and participate in the CruiseBe Service. You cannot opt-out of Administrative Emails. “Administrative Emails” relate to your activity on the CruiseBe Service, and include but are not limited to emails regarding your account, requests or inquiries, and purchases of products and services. If you do not want to receive promotional emails from us, you may elect to opt-out of receiving promotional emails at any time after registering by e-mailing us at admin@cruisebe.com or by hitting the “unsubscribe” button at the bottom of any of our e-mails. If you would like to delete your profile, please write to our technical support and we will assist you (admin@cruisebe.com). In your Private Profile, you have a check box indicating whether you want to receive promotions and notifications from our company or not. If you do not want to give us your location information, you should check settings on your mobile devices. 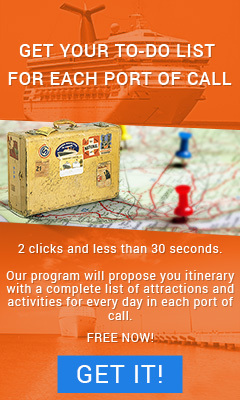 However, if you do so, this could also affect your services on the CruiseBe Service. 8. Security of Information. You can access your Personal Data via the CruiseBe Service with your password and username. This password is encrypted. We advise against sharing your password with anyone. If you access your account via a third-party site or service, you may have additional or different sign-in protections via that third-party site or service. You need to prevent unauthorized access to your account and Personal Information by selecting and protecting your password and/or other sign-in mechanism appropriately and limiting access to your computer, browser, or mobile device by signing off after you have finished accessing your account. Unauthorized entry or use, hardware or software failure, and other factors, may compromise the security of user information at any time. In the event that we believe that the security of your information may have been compromised, we may seek to notify you of that development. In addition, your Personal Data resides on a secure server that only selected personnel and contractors have access to. We may encrypt certain sensitive information using Secure Socket Layer (SSL) technology to ensure that your Personal Data is safe as it is transmitted to us. However, no data transmission can be guaranteed to be 100% secure. As a result, while we employ commercially reasonable security measures to protect data and seek to partner with companies that do the same, we cannot guarantee the security of any information transmitted to or from or via the CruiseBe Service, and we are not responsible for the actions of any third parties that may receive any such information. b. Other Tracking Devices. We may use other industry standard technologies like pixel tags and web beacons to track your use of the CruiseBe Service, or we may allow our Third Party Service Providers to use these devices on our behalf. When you access the CruiseBe Service or open or click an email, pixel tags and web beacons generate a Non-Personally Identifiable notice of that action. Pixel tags allow us to measure and improve our understanding of visitor traffic and behavior on the CruiseBe Service, as well as give us a way to measure our promotions and performance. We may also utilize pixel tags and web beacons provided by our marketing partners for the same purposes. 11. Privacy Settings. As a user, you may have limited access to privacy settings. These settings help hide information you wish to share with other users and/or the public. It is up to you to select the appropriate privacy settings. If you don’t agree with the available privacy settings, please stop using the CruiseBe Service. 12. Public Areas. We may provide areas on the CruiseBe Service where you can publicly post information about yourself or can communicate with others such as on forums. This information may be accessible by other users and companies and may appear on other websites or web searches, and therefore this information could be read, collected, and used by others. We have no control over who reads your postings or what other users may do with the information you voluntarily post, so please use caution when posting any content or providing anything that could be deemed personal information. 13. Notice of Privacy Rights to California Residents. California law requires that we provide you with a summary of your privacy rights under the California Online Privacy Protection Act (“COPPA”) and the California Business and Professions Code. As required by COPPA, we will provide you with the categories of Personal Data that we collect through the CruiseBe Service and the categories of third party persons or entities with whom such Personal Data may be shared for direct marketing purposes at your request. California law requires us to inform you, at your request, (1) the categories of Personal Data we collect and what third parties we share that information with; (2) the names and addresses of those third parties; and (3) examples of the products marketed by those companies. COPPA further requires us to allow you to control who you do not want us to share that information with. To obtain this information, please send a request by email or physical mail to the address found below. When contacting us, please indicate your name, address, email address, and what Personal Data you do not want us to share with our marketing partners. The request should be sent to the attention of our legal department, and labeled “California Customer Choice Notice.” Please allow 30 days for a response. Also, please note that there is no charge for controlling the sharing of your Personal Data or requesting this notice. 14. Children. The CruiseBe Service are not directed to people under the age of 13. If you become aware that your child has provided us with personal information without your consent, please contact us at admin@cruisebe.com. If we become aware that a child under 13 has provided us with personal information, we take steps to remove such information and terminate the child’s account.